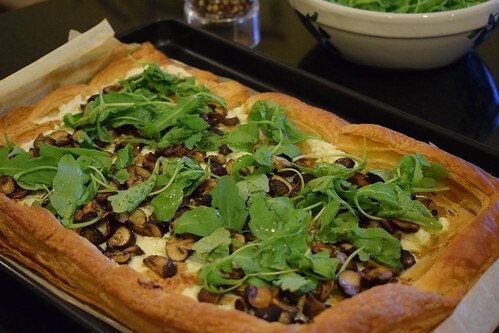 I love mushrooms, and pastry, and this little dinger of a recipe combines both. 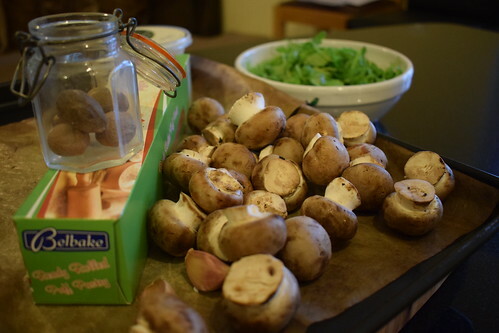 Mushrooms are technically in season at the moment, but it is easy to get mushrooms all year round now. You can, absolutely make your own puff pastry, be my guest. But for a weeknight dinner, I wouldn’t have the time, nor the energy. And although I make all other types of pastry, puff and filo I tend to leave to the experts, except on a rare occasion. Heat oven to 200oC and place a baking sheet inside. 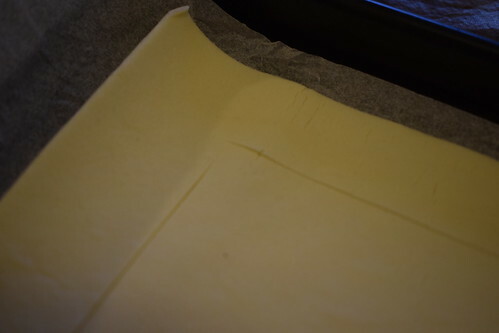 Unroll the pastry onto a piece of baking parchment and score a border around the pastry about 1.5cm in from the edge. Place the pastry (still on the parchment) on the baking sheet and cook for 10-15 mins. While the pastry bakes, heat the oil in a large frying pan and cook the mushrooms for 2-3 mins, in batches, stirring occasionally. Add the sliced garlic, then cook for 1 min more to get rid of excess liquid. 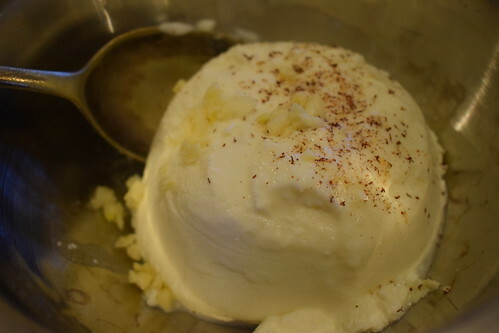 Mix the crushed garlic with the ricotta and nutmeg, then season well. Remove the pastry from the oven and carefully push down the risen centre. 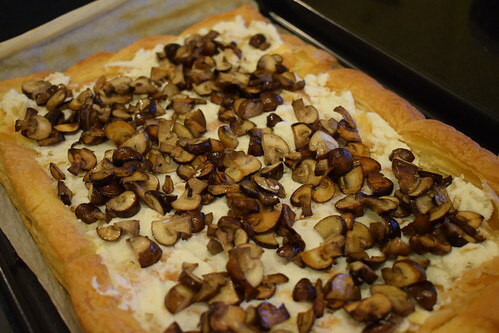 Spread over the ricotta mixture, then spoon on the mushrooms and garlic. Bake for 15 mins. Served with rocket for that little bit of colour. And a drizzle of olive oil to make it look great. And to be fair this now sounds more complicated than it is. Back to the gateau, which, is called gateau pithivier every day in France, except, as Darina told us, on January 6th, when it is known as the Galette des Rois (The Kings Cake). This tradition is pre Christian, when a man was chosen to be the “sacred king” for a year and then sacrificed to ensure a good harvest. Thankfully the Christian interpretation isn’t quite so macabre for the consumer. And unfortunately I have been unable to track down why there is a spiral decoration on the gateau. More detective work is required I think. I would appreciate any help!